This coming Monday, I am launching for my first trip of the season on the South Spur of Washington’s Mount Adams. Unfortunately for us—although summer was well underway last week—we have returned to the wet weather pattern that typifies the month of “June-uary.” Forecasts disagree about the exact amount of precipitation, but all models are calling for cool temperatures and significant rain for our first two days. With that in mind, here is what I am taking for a three-day guiding ascent of this moderate snow route on a major Cascades volcano (12,676′). 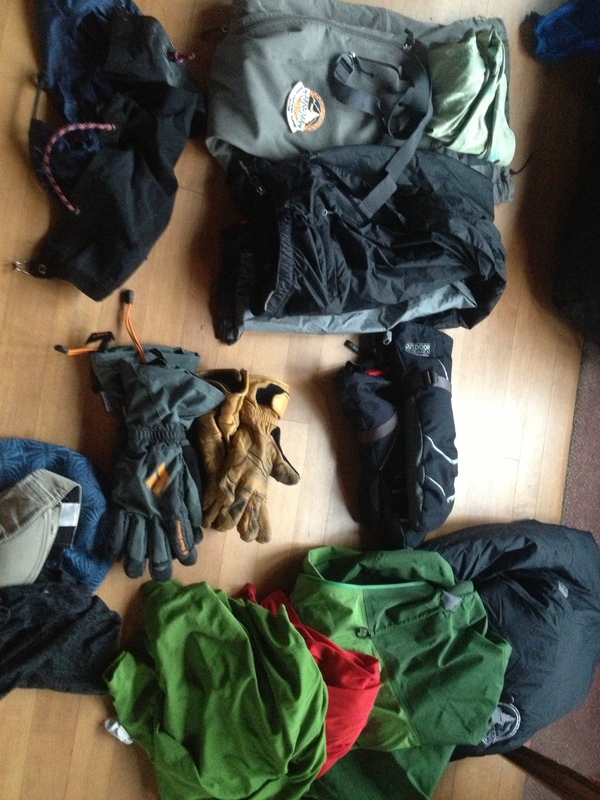 Given the relatively easy approach (on trails, 4 miles, 4000′ gain), I have tailored my equipment with the goal of simply staying dry for the first two days (approach day and a skill development day) …and having my fingers crossed that our summit day actually provides the nicer weather that is currently forecasted. The low amount of technical difficulties (read: no glaciers) of the trip have reduced my gear weight, although I am still taking a rope to provide security (and navigation help) in the early season conditions. 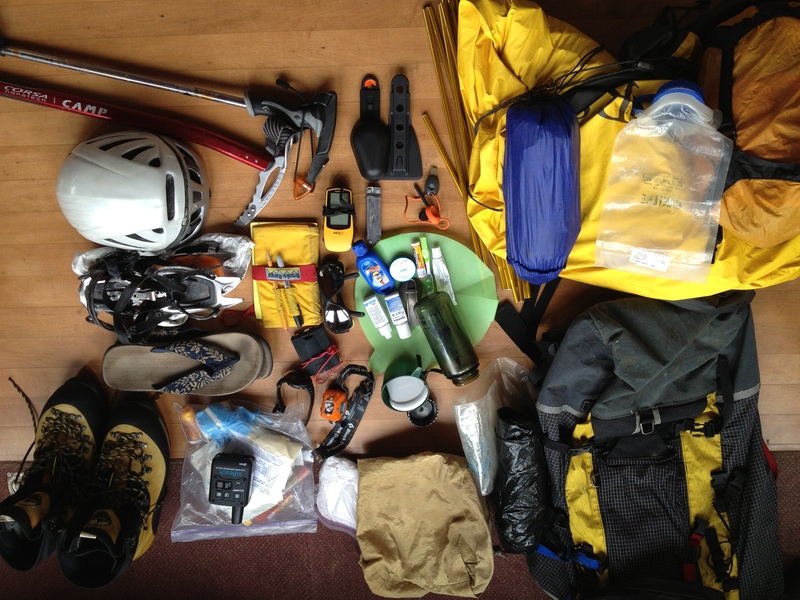 Your gear pile looks small…so what’s not pictured? I’ll post a few photos of the pack and it all being used when I return—once I dry out!